Students in the Associate of Science with a major in Accounting will demonstrate ethical decision-making from a Christian worldview and competency in the application of fundamental accounting and business principles. Students will develop foundational business and accounting analysis skills and integrate a biblical framework that guides business and personal interactions. Students will also apply information management skills to business decision-making and then demonstrate effective communication of ideas and facts. Be a global leader in accounting education by providing programs that are distinguished by virtuous standards and academic excellence. The DeVoe School of Business accounting programs provide Christ-centered professional education to prepare a diverse body of learners for a successful life of service in business, industry, public accounting and nonprofit organizations. Develop foundational business and accounting analysis skills. Demonstrate a competency in the application of fundamental accounting and business principles. Demonstrate effective communication of ideas and facts. Apply information management skills to business decision-making. Demonstrate ethical decision-making from a Christian worldview. Integrate a biblical framework that guides business and personal interactions. If you have not yet obtained your Associate degree but already have 36 to 59 credit hours of previous college coursework, IWU’s unique Bridge program can allow you to immediately start working towards your Bachelor's degree. Please contact your Program Representative at 866-498-4968 for more information. Submission of all required items for the admissions process as outlined in the “application procedures” section of the application packet. Acceptance to an IWU Bachelor program with 36-59 credit hours earned from a regionally accredited college or university. Enter the Bridge to a Bachelor program at 36-59 credit hours. 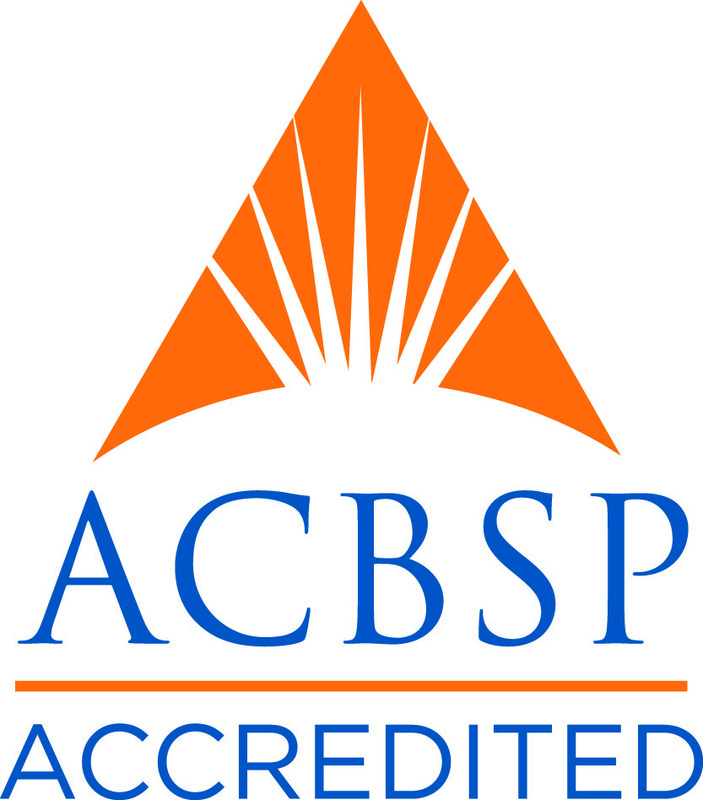 The accounting program is accredited by the Accreditation Council for Business Schools and Programs (ACBSP). Below are the lists of requirements for the AS in Accounting program. Click on each link to expand the requirements. If you have any questions about the admissions process, feel free to contact one of our admissions representatives at 1-866-498-4968. Completion of 60 credit hours. Completion of the required core (major) courses with a GPA of 2.0 or higher and a minimum of 15 hours of the core (major) taken at Indiana Wesleyan University. Payment of all tuition and fees is required in order to receive a diploma. To be considered for admission to the Associate of Science with a major in Accounting degree program, complete each of the following steps. For more information, call 866-498-4968 to speak with a Program Representative. High School: Applicants who have fewer than 30 credit hours of college coursework are required to submit a copy of a standard high school diploma or transcript or GED scores for admission. College: Applicants who have more than 30 credit hours of college coursework are required to submit an official transcript from each undergraduate regionally accredited institution attended. Indiana Wesleyan University will accept for its permanent file only those transcripts sent directly to IWU by the registrar of the attended institution(s). Official transcripts must exhibit the official seal and signature of the registrar. Transcripts that are stamped “student copy,” “issued to student,” or “unofficial” cannot be accepted as official. Undergraduate students accepted to or enrolled in any of the CAPS associate or baccalaureate degree programs are eligible to complete Prior Learning Assessment (PLA). Credit hours awarded may be counted toward general education, elective, or select core requirements as applicable to the undergraduate degree or as speci ed for approved graduate programs. Baccalaureate students may earn a maximum of 40 hours of credit through PLA. Associate degree students may earn a maximum of 18 hours through PLA. Undergraduate students may use PLA credit to accrue toward the 60 hours of credit required for admission to the bachelor’s core curriculum and/or to meet degree requirements while in the core and/or after the core has been completed. Below are the program locations, upcoming dates, and meeting times for the Associate of Science with a major in Accounting program. This list is updated regularly as new classes are added.